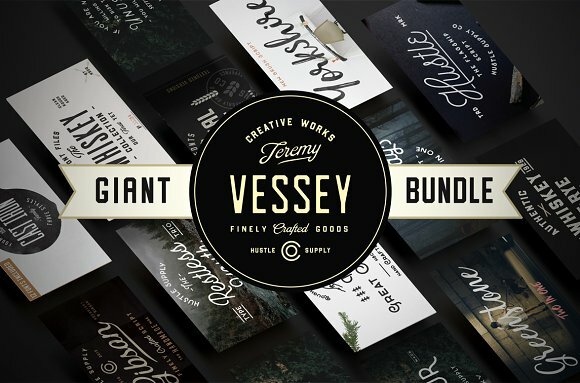 Giant Bundle is a collection of over 50 fonts, best selling products by Jeremy Vessey and published by Hustle Supply Co. It has diverse vintage typefaces and multilingual support. It is ideal for graphic design, brands, logo etc. A giant bundle! A font description published on Monday, February 6th, 2017 in Active, Bundles, Fonts, Hustle Supply, Jeremy Vessey by Alexandra that has 3,157 views.